Overlooking the homonym lake, Bracciano lies on a gentle hill, away from the hustle and the bustle of big cities. On lake Bracciano also face Trevignano Romano and Anguillara Sabazia, old medieval small towns, boasting gorgeous lake views. Bracciano is conveniently located between Rome and Viterbo, the ancient papal city, offering easy access by train as well as by car. Whether staying in Rome or in Viterbo, don’t miss to plan a visit here. Among its numerous attractions you will find of course the well known Odescalchi Castle. It’s a well preserved fortress which hosted famous marriages such as Tom Cruise, Bernie’s Ecclestone daughter and the world famous Italian singer, Eros Ramazzotti. Set of suggestive TV series, the castle offers English guided tours suitable for groups, families, school group. Child activities and work shop are also available. No matter if you are on summer vacations or on short breaks, this city offers lots of things to do. You can avail of: sailing, windsurf, canoeing, boat tour, mountain bike, as well as horse riding in the marvelous country. If you like hiking, then you can have a walk into the nearby natural reserves Manziana and Canale Monterano or a gateway to the impressive Martignano lake natural park. Those willing to relax or spend an unforgettable time at a thermal spa can visit the Terme di Stigliano Hotel and Spa. All the nearby small towns such as Anguillara Sabazia, Trevignano Romano, Canale Momterano organize country side festivals all year-round. They are celebrations of rural traditions where it’s also possible to taste local products and cuisine. 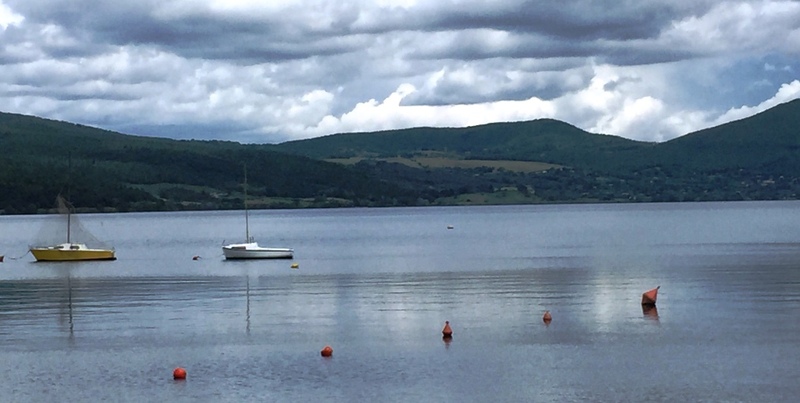 Bracciano also offers many dining options and lodging solutions: luxury hotels or cheap accommodations, like camping and bed and breakfast for travelers on a budget. I moved to Bracciano in 2003 from Pavia, (26 miles south from Milan). I really adore this town, its country and lovely people and feel very lucky to live here. This area offers many gorgeous hidden corners…I still have to discover.